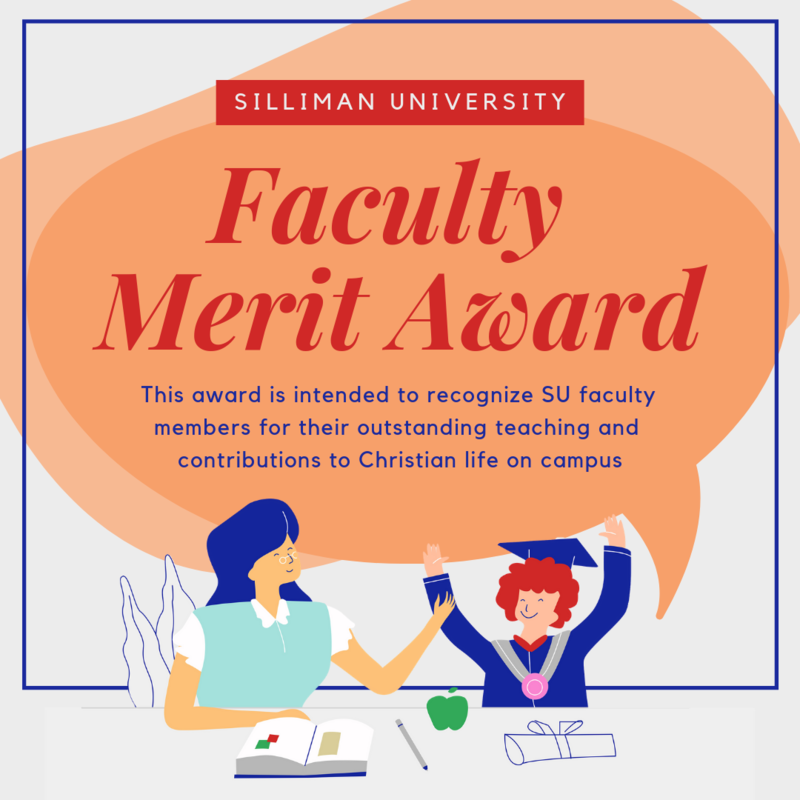 This award is intended to recognize SU faculty members for their outstanding teaching and contributions to Christian life on campus. 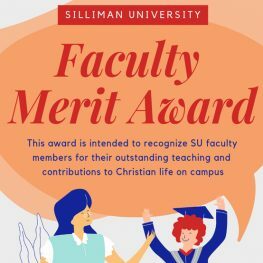 It is also an incentive for faculty members to continue the further development of their practice of the teaching profession and the further enhancement of their participation in the Christian life at Silliman University. All documents must be submitted to the Human Resource Development Office (1st floor, Guy Hall) on or before FEBRUARY 4, 2019. The award will be given during the Faculty and Staff Day on February 11, 2019.